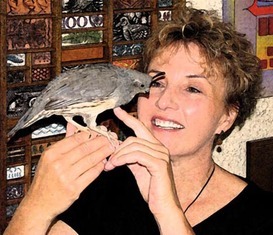 Clay artist Wendy S. Timm lives and works in Oro Valley, Arizona. She has been a Tucson resident since 1973 and is a graduate of the University of Arizona. Wendy has been showing her work professionally since 1990. She holds two open studios annually, in April and December, with a showing of her latest works to private collectors. The show goes on rain or shine and visitors are encouraged to take a self-guided tour of Wendy's award winning yard and her studio workplace. Interested parties can also arrange for a private showing and/or garden tour outside of open studio dates and times by contacting Wendy by email .